Cameron and my niece both love trolls! I mean, we watch Trolls constantly in our house. So I thought it would be cute to make ornaments for them. I did Branch for Cameron and Princess Poppy for my niece and I have to say, they came out so cute! There were super easy to make. I found an salt dough recipe , which you can find here. 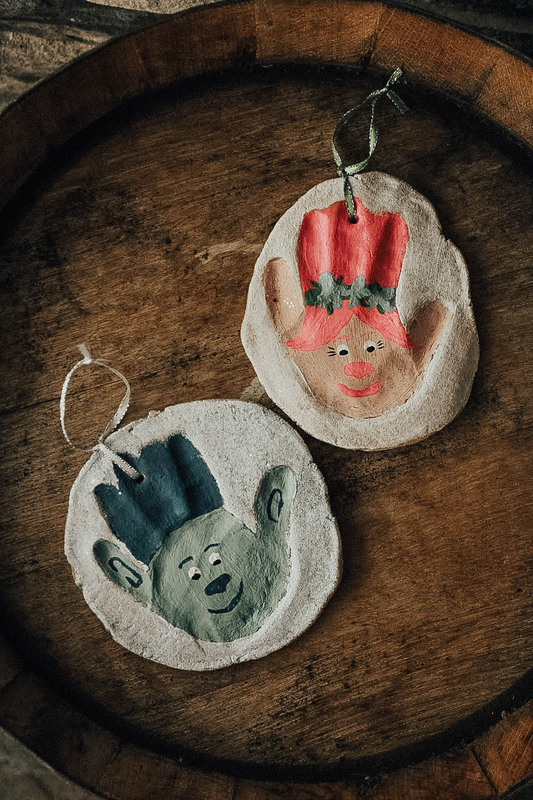 I used this recipe to make a bunch of different ornaments and I even made some trinket trays for the ladies in my family. You can really get creative. For the trolls ornaments, I rolled out a larger circle and used Camerons small hand for a print . Make sure to put a small circle to thread your ribbon through, to hang on the tree. I used a straw and just punched a hole through. After baking the ornaments, I waited until they cooled to decorate. I used acrylic paint and just copied an image of Poppy and Branch, you can copy mine, of course. I topped it off with a little glitter and to be honest, I love them! If your kid loves trolls, they'll love this ornament! Xo, have fun with it and be sure to show me your finished ornament. Christmas Treats : Sharing this years recipes.